Morganton, North Carolina is a city of 17,000 residents with a vibrant outdoor community life which attracts tourism to the nearby Catawba River, recreation centers, and Historic Downtown Morganton. 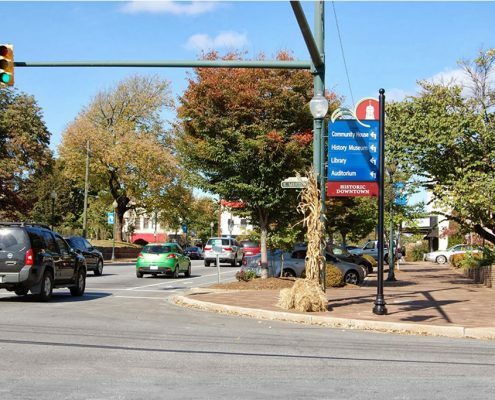 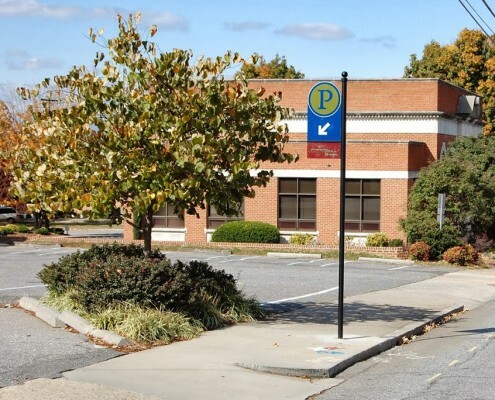 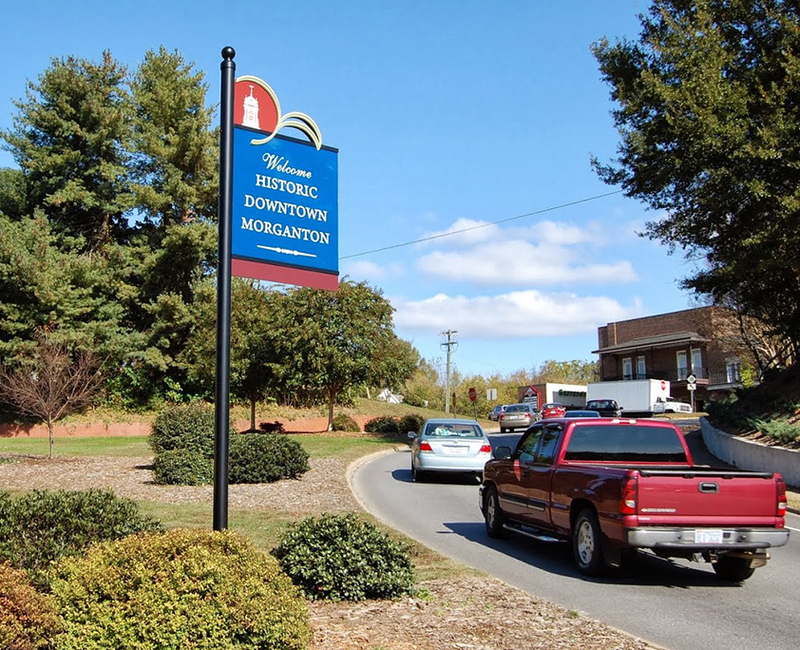 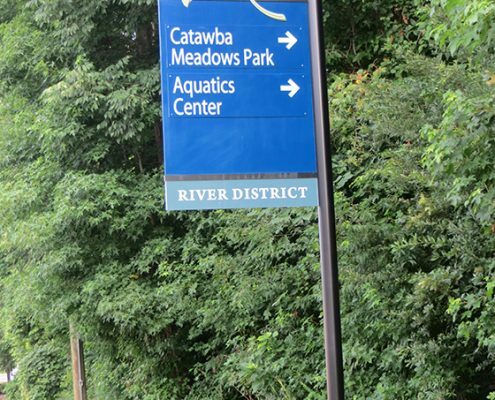 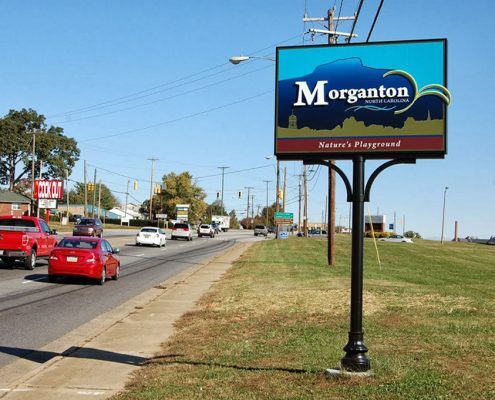 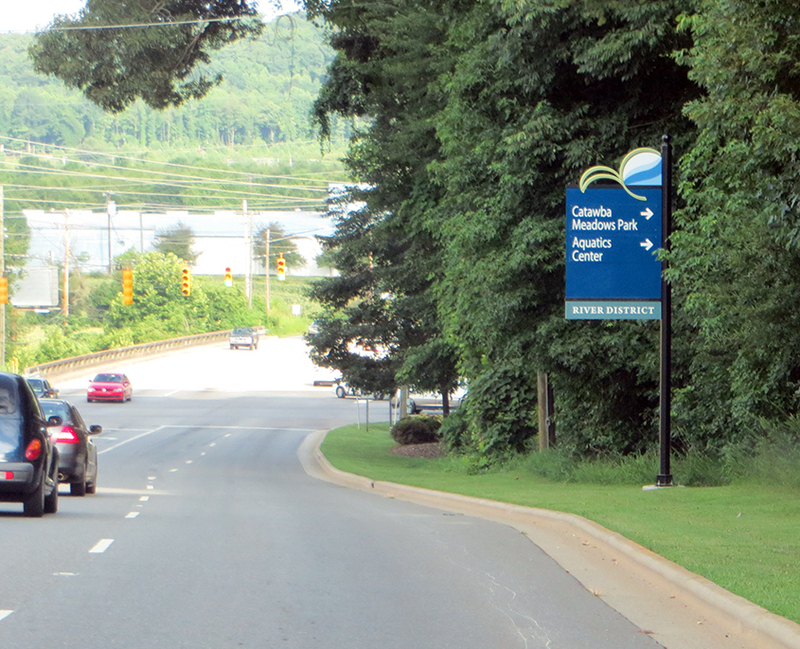 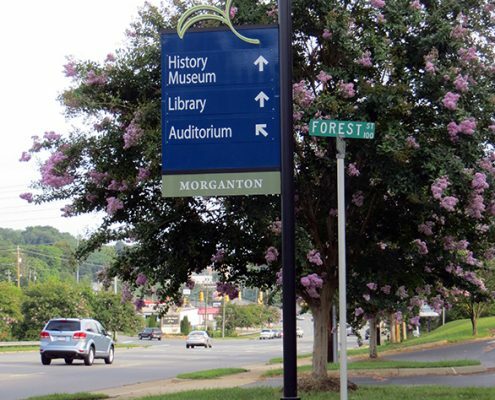 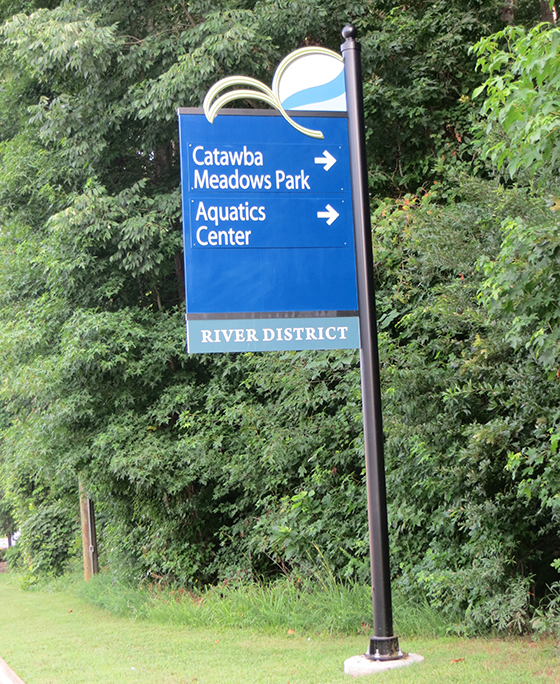 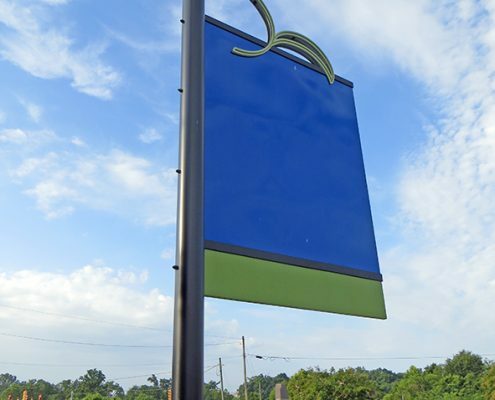 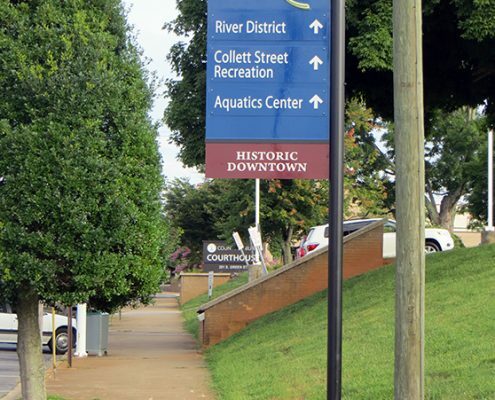 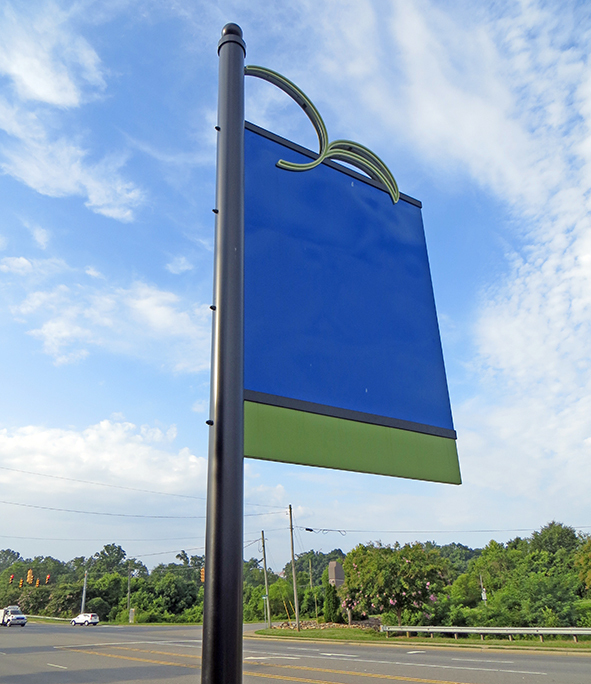 To better direct visitors and residents to these important amenities, the City of Morganton commissioned Frazier Associates to design a city-wide wayfinding sign system. In Phase One of the project, Frazier Associates conducted stakeholder meetings, surveys and discussion groups. 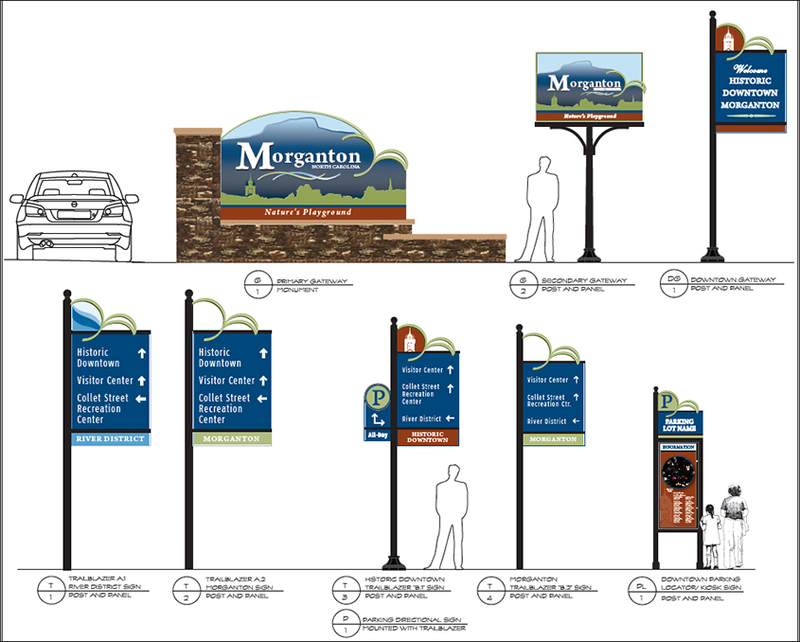 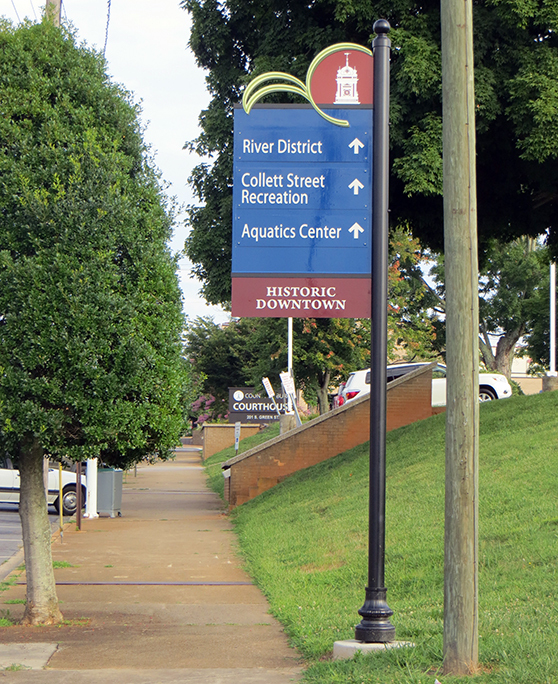 Then Frazier Associates designed a trailblazer system utilizing a unique icon and color motif for use in the River District, Historic Downtown, and the greater Morganton area. 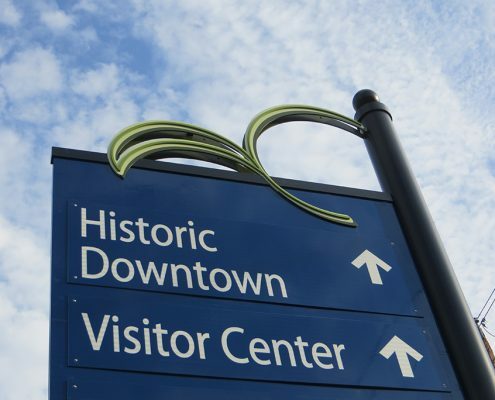 These icons and colors create a cohesive wayfinding system design that enables visitors and residents easy access to key destinations. 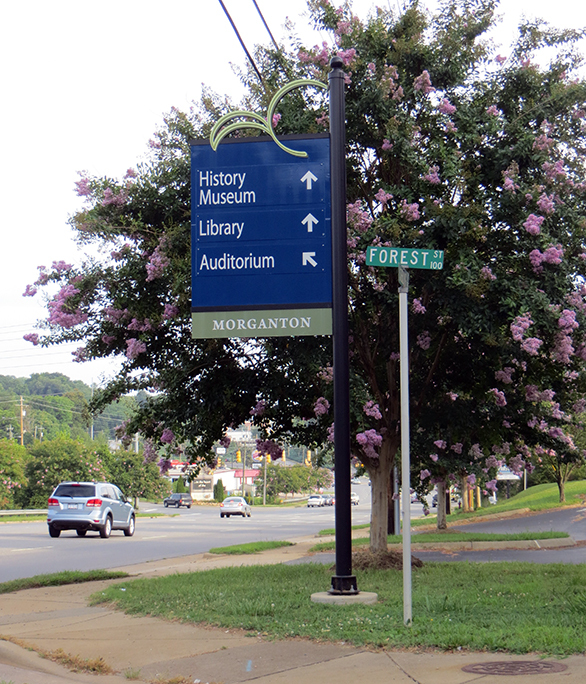 The resulting sign system consists of primary and secondary gateway signs as well as trailblazer and parking directional signs. All combine to promote tourism in the Morganton area and leave the visitor with a positive community experience.